At the Sierra Business Council (SBC) Annual Conference at Mammoth Mountain, a breakfast meeting was held for all attendees from the four gateways to Yosemite. They returned for a second breakfast meeting the next morning. The first regional Gateway Partnership meeting was held in the Mountain Room at Yosemite Lodge. Ed McMahon held a three-day Conference in Yosemite’s Curry Village. Approximately 50 participants attended, evenly divided between Highways 140, 41, 120 East, 120 North, and Yosemite Park. Approximately 39 participants attended a workshop facilitated by Linda McMillan in the Mountain Room at Yosemite Lodge. A workshop was held in Mariposa’s government center. The group stuck together for four hours of discussion and came up with a mission statement. The formation meeting was held for the first corporate Board of Directors in the Garden Terrace at Yosemite Lodge. Yosemite Gateway Partners, Inc., was incorporated as a nonprofit in the State of California. 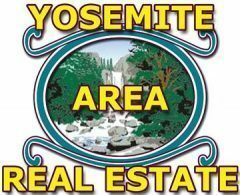 Yosemite Gateway Partners, Inc., was issued a 501(c)(3) exemption letter by IRS.